Sweetroof Café' is a small dessert café, that serves the American style of . They are Located on the balcony of Café24 at Adetokumbo Ademola Crescent Wuse2, Abuja. The cafe serves the following food style to their clientele: American, Breakfast, British, Brunch, Fast Food and Sandwiches. They also have a catering department in charge of outdoor catering. 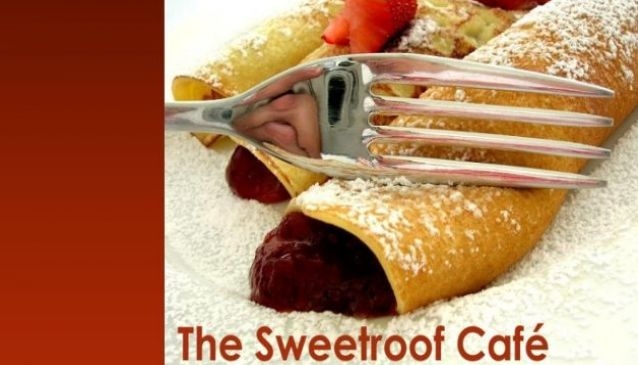 The Sweetroof Cafe provide other services such as: take out, delivery, waiter service. It has an outdoor seeting area and also a cool spot for your kids to hangout.